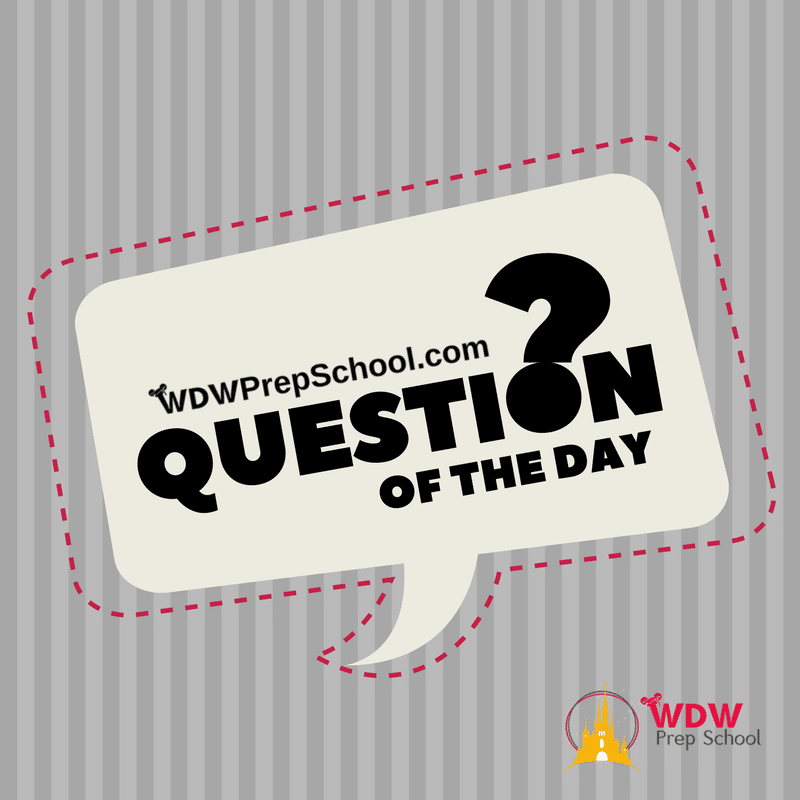 FAQs » Disney World Transportation » How can I walk between Epcot and Hollywood Studios? One of the nice things about staying in an Epcot-area resort is the ability to walk to both Epcot and Hollywood Studios. Boat transportation is available, but can be slower, require long waits for the next boat, and sometimes they fill up during busy times. The trek between the parks is a brisk 15-minute walk. At Epcot, this path can be found by exiting the International Gateway (located near the UK pavilion), heading toward the Beach Club, then continuing toward the Swan/Dolphin, and then on to Hollywood Studios. 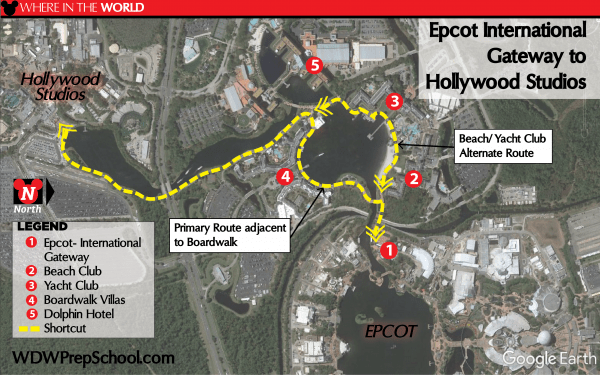 If you're at Hollywood Studios, you can take the path along the water which will lead you toward Epcot. Not sure where to go or uncertain you're headed the right way? Just ask a Cast Member who will be able to point you in the right direction. 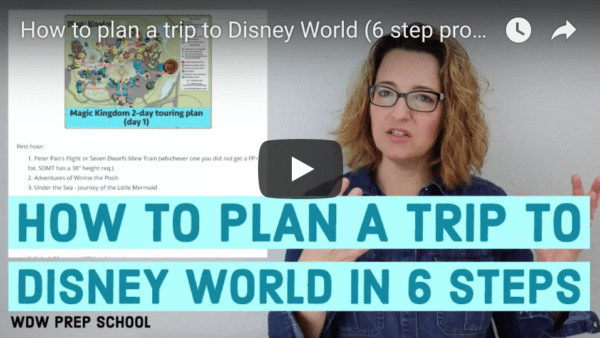 Learn about more paths you can take while at Disney World to save yourself some time. Can I see Fantasmic and Star Wars: A Galactic Spectacular in the same night? How can I avoid the long lines in Toy Story Land? I have an 8:05 a.m. breakfast reservation at a resort. How do I get there? Take the Bus!!!! The walk is about 1hr ,i if you want to get to the parking lot of epcot. You also need a park hopper or you gave to walk back to Hollywood studios. The staff was kind enough to let me and Family thru to get to the bus transportation area. If you want to go to the front of Epcot, definitely take the bus. If you want to get to the International Gateway, walk or boat is easy to do. On the way, I stopped in to look at the lobbies of the Swan, Dolphin, and Boardwalk resorts. I had never been in any of them, so this was fun also. AND I stopped to enjoy some yummy ice cream on the Boardwalk!